There are many people who are looking for professional junk haulers in Fairfield NJ and simply do not know where to turn. When your place of business or house is cluttered with junk, it may be difficult to know where to begin and a lot of people get overwhelmed easily. This is where the expert junk haulers at Mike’s Junk Removal and House Cleanouts come in. As North NJ’s junk removal pros, local residents rely on us for a variety of services, which includes commercial, apartment, house, estate, and basement cleanout among many others. Get in touch with Mike’s Junk Removal and House Cleanouts right away in the event you’re looking for expert junk removal in Fairfield NJ or the rest of the local area. When you need basement junk removal in Fairfield NJ, this is one of the services we specialize in at Mike’s Junk Removal and House Cleanouts. Lots of people find that their basements are completely cluttered with junk and it reaches a point where they are overwhelmed and have no idea what to do with it all. This is when it’s time to call the junk removal specialists. You’re going to be glad for a long time to come that you made the decision to call for a basement cleanout as the room could be useable for so many other things. Get in touch with the experts at Mike’s Junk Removal and House Cleanouts for effective basement garbage removal in Fairfield NJ or the rest of the local region. At Mike’s Junk Removal and House Cleanouts another one of our specialties is commercial and office junk removal in Fairfield NJ. Businesses including restaurants receive large numbers of customers on a regular basis and as a result have more significant needs for trash removal. At Mike’s Junk Removal and House Cleanouts the outstanding services we are capable of supplying are capable of being adjusted to match the exact requirements of your business. You won’t have any difficulty fitting our services into your budget thanks to our competitive and reasonable junk removal prices. In the event you’re moving into a new office or out of an old one, this can be an essential service which will make the entire process substantially easier. When you let Mike’s Junk Removal deal with the junk removal, you will discover getting right to work is going to be simple. It is incredibly important to make a great initial impression on clients and customers. This is why you should call us for commercial and office junk removal in Fairfield NJ or the rest of the local region. Mike’s Junk Removal and House Cleanouts will be here to provide thorough and compassionate junk removal in Fairfield NJ for estate cleanouts. It is difficult enough dealing with a loved one passing away without needing to worry about dealing with their estate. 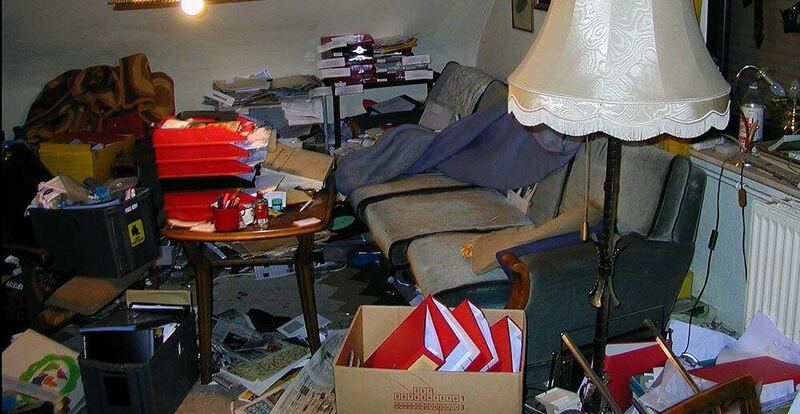 Letting you take things at your own pace, we provide estate cleanout services that are additionally effective. We take an approach that is considerate by allowing you considerable time to determine what you’d like to keep while making sure that whatever you don’t wish to keep is discarded. In regards to estate cleanouts in Fairfield NJ, leave the junk removal to us. Whatever your requirements are for trash removal in Fairfield NJ, Mike’s Junk Removal and House Cleanouts is standing by prepared to assist you. You aren’t going to discover any hidden fees once the job is complete, and our costs are incredibly competitive. For a completely free estimate for junk removal in Fairfield NJ contact us right away.